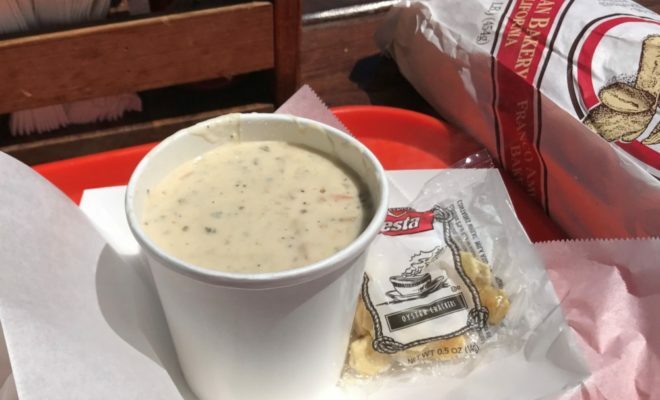 I finally made it out to the Sonoma Coast and incidentally discovered the best clam chowder and seafood sandwich I’ve had yet at Spud Point Crab Company in Bodega Bay, CA! By the time we all reached Bodega Bay we were all hungry and in the mood for seafood. 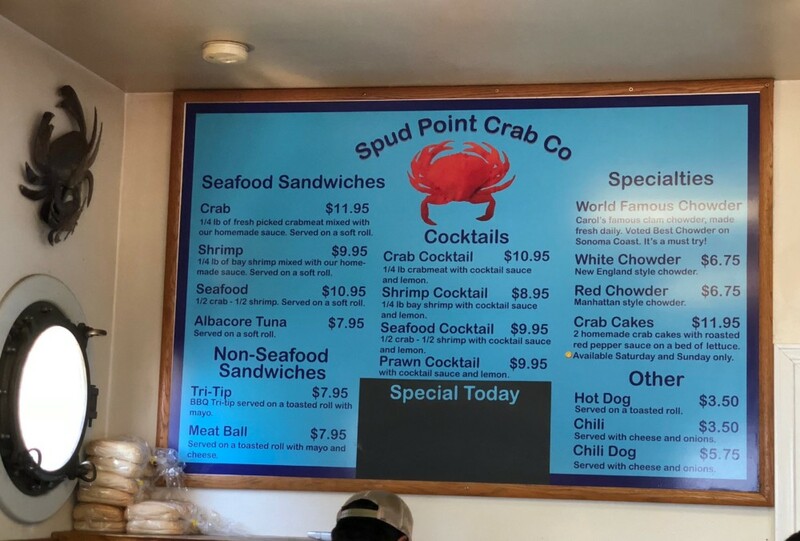 Based on a quick scan of Yelp and media reviews we decided to pick Spud Point Crab Company, an unassuming little building, next to the less crowded restaurant with a parking lot. Heads up — for Spud Point, you’ll need to find roadside parking. We picked the right place. Not only did Spud Point Crab Company have some of the best seafood I can remember, having arrived a little before noon on a Friday, we had no problem getting seats at the outdoor picnic tables. Lines can get long during peak times, so consider coming before or after the lunch and dinner rush. The menu is simple — there are a handful of non-seafood items but most of your options are focused on clam chowder, crab, and shrimp. Get the white clam chowder. If you like traditional New England clam chowder, Spud Point’s is the best I’ve ever had. Flavorful, packed with clams, not too many potatoes, and a healthy amount of pepper. Note, the cup of soup only comes with a little packet of (stale) oyster crackers, so splurge and spend the extra $3.99 on a loaf of fantastic San Francisco Sourdough bread. Seafood sandwich. I couldn’t decide if I wanted the fresh shrimp or crab sandwich, so I got the combo. It’s small, you’ll want something more if you’re sharing, but wow! Just wow. A great reminder that if you have fresh seafood cooked well, you don’t need fancy seasonings or accouterments. 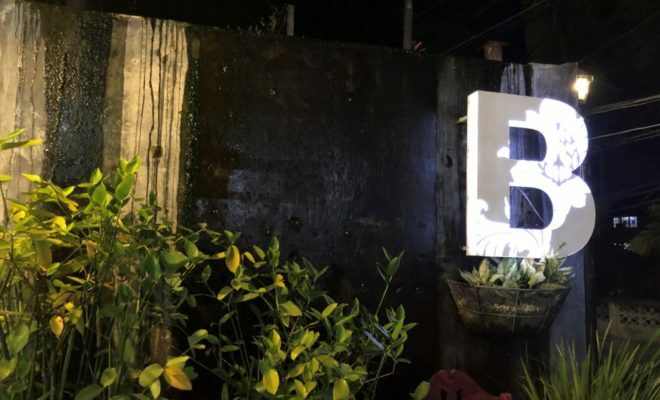 It’s fun sitting outside in the ocean air with other hungry patrons, but be aware there’s not much of a view, particularly if someone decides to park their car along the road in front. Yummy .. you are making me hungry!